We make all of our high quality and manufactured products right out of Irvine, California to make sure that you are getting the best of the best when it comes to solenoid valves. We are dedicated to making sure that all of our clients have an unmatched customer service experience. If you are looking for the best in product and the best in service, then you have come to the right place. For more information, give us a call today! For top quality products and support, the highest levels of commitment to service and on-time delivery, call Magnatrol Valve Corporation. They provide complete customer satisfaction for every purchase. For 12 volt solenoid valves, they have what you require. For all valves they also offer standard optional features and modifications, as well as custom designs to make sure all needs are met. With expertise in a wide range of industries, Humphrey Products Company bases their knowledge on technologies proven in their standard products. This enables them to create custom solutions for all unique commercial and industrial applications. So when searching for 12 volt solenoid valves, look to Humphrey for quality, reliability, and dedicated service you can trust. We are committed to staying on the leading edge of technological innovation. We attribute our success to our research and development department keeping us on the forefront of technology enabling us to offer our customers the very best and most advanced products available. 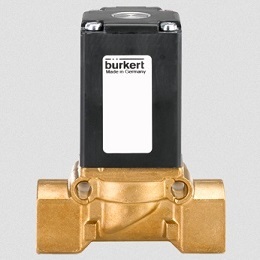 Our 12 volt solenoid valves are no different. We are a global company and we are committed to excellence. To see how we may be able to provide services to you visit our website today! 12 volt solenoid valves are one of the most common flow control valves in commercial, industrial, and home tools and appliances. Ice cube makers, refrigerators and dishwashers are a few home appliances that operate with 12 volt solenoid valves, which are most often pneumatic but can also be hydraulic. A wide range of industries use 12v solenoid valves to power industrial tools and electric motors, for heating and cooling, electronic, medical, dental equipment, oil tooling, aerospace, fuel systems and automotive. 12 volt hydraulic valves regulate flow of fluid or water, while 12 volt air or pneumatic valves regulate flow of gas or air. Ideal for low volume vacuum or air pressure applications, 12 volt solenoid valves can be made from either plastics or metallic elements and alloys. The 12v refers to the amount of voltages supplied by the direct current (DC) power source. There are also 3v, 6v and 24 volt solenoid valves; however, 12 volt solenoid valves are the standard. Also powered by natural pressure and electromagnetic force, 12v solenoid valves have fewer moving parts. This is an advantage considering moving parts require maintenance. 12 volt solenoid valves control the flow of gases or liquids through tubes, as regular valves do, but unlike other valves, can be easily operated by remote devices that activate the solenoid coil. The ability to be controlled remotely makes 12 volt solenoid valves extremely useful for operating potentially dangerous machinery or inaccessible lines. 12v solenoid valves are operated electromechanically by a solenoid, which is a magnetized coil activated by electrical charges, which controls the flow of gases or liquids precisely through targeted electrical charges, sensor cue or by hysteresis (device memory). 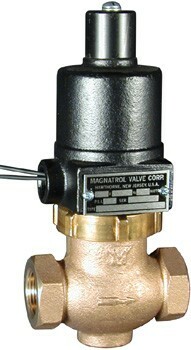 12 volt solenoid valve manufacturers make two general types of valves: direct-acting and pilot-operated. Direct-acting 12v solenoid valves have a plunger that is in direct contact with the in-flow opening in the valve body, or orifice. This plunger is used to open and close the orifice, which permits or hinders flow. The pilot-operated 12 volt solenoid valve, which is actually a combination of a pneumatic or hydraulic valve and a smaller solenoid valve, works with a diaphragm rather than a plunger, using differential pressure to control the flow of gases or fluids. In addition, 12 volt solenoid valves must be either a normally closed (NC) valve or a normally open (NO) valve. In a NC valve, a plunging pin or rod within the valve is held blocking the passage of air or fluid by a solenoid coil; the air or fluid pressure coming into the valve helps keep the valve shut as long as the pin blocks the passage. In order for gas or fluid to flow through the valve, an electromagnetic charge is run through the solenoid coil, which becomes active and lifts the plunger out of the passage and allows flow through the entire valve. NO valves are the opposite; they remain open until the solenoid is activated and pushes down the plunger, blocking flow and creating pressure to keep the valve closed.